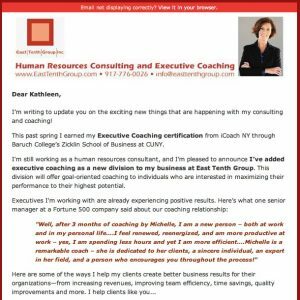 Michelle Tenzyk, a human resources consultant, added executive coaching to her service offerings and wanted to share the news with her network of contacts. We worked with Michelle to craft an announcement email that hit just the right tone: professional and businesslike, yet enthusiastic. 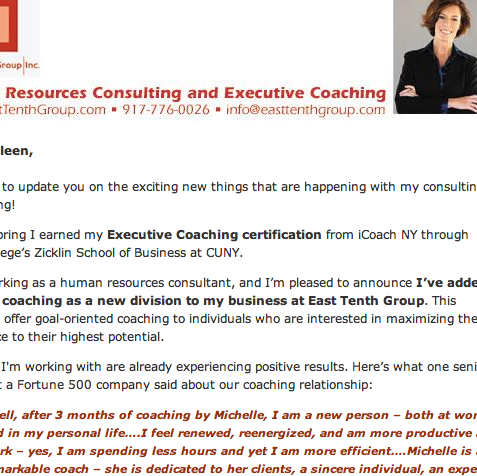 The email was opened by 31% of recipients, and earned Michelle over 50 inbound inquiries from her list.